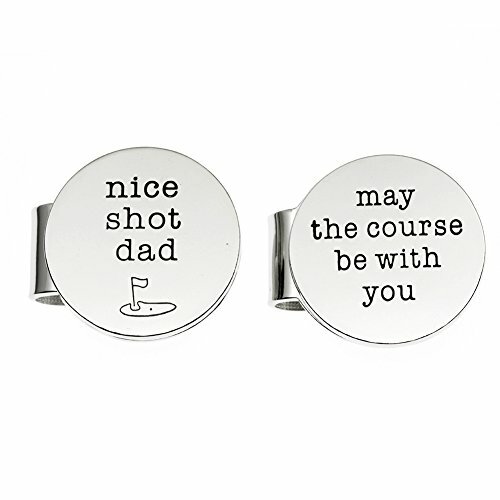 2 stainless steel golf ball markers are engraved with 'nice shot dad' and 'may the course be with you'. Markers measure 1 inch in diameter. Comes with a magnetic stainless steel hat clip. Made in Phoenix, Arizona by Georgie Designs and will arrive in a gift box. 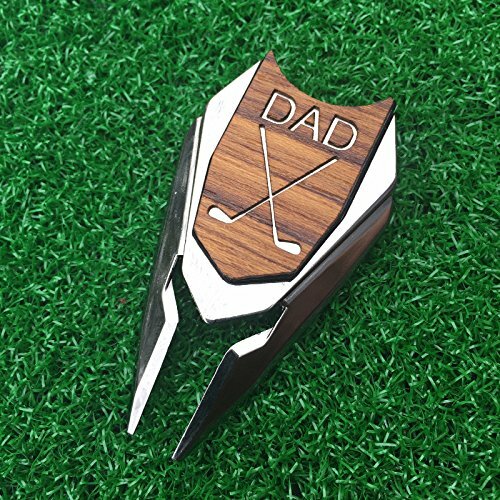 The perfect gift for any dad golfer. Two handy tools in one, this golf divot tool is a not only a repair tool, but also a ball marker to help the golfer mark his location on the putting green. The ball marker, made of real teak wood, is magnetic and therefore easily removed and attached to the divot tool. Size: 2 1/2" x 1 3/8" x 1/4"
The perfect gift for any dad golfer. Two handy tools in one, this golf divot tool is a not only a repair tool, but also a ball marker to help the golfer mark his location on the putting green. The ball marker, made of real cherry wood, is magnetic and therefore easily removed and attached to the divot tool. 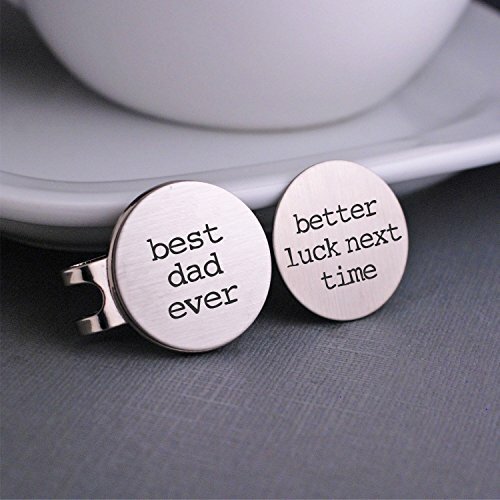 Size: 2 1/2" x 1 3/8" x 1/4"
2 magnetic stainless steel golf ball markers are engraved with "best dad ever" and "better luck next time". They each measure 1 inch in diameter. Set comes with 1 magnetic stainless steel hat clip. They are made in Phoenix, Arizona by Georgie Designs and will arrive gift wrapped and ready to give! ✺ " Nice Shot Dad" "May The Course Be With You " ✺ Hand stamped and made of Alloy, will never tarnish·rust·change color. It's very durable ✺ tag is 1" in diameter ✺ Will come gift wrapped for easy gift giving! A B O U T ∙ MS CLOVER We are a team of happy people dedicated to handcrafting every item with sincere and love! We know this isn't about us, but all about you. Thank you so much for allowing us to be a part of your special moment! O U R ∙ P R O M I S E MS CLOVER designs are cut from high quality metal products that are timeless, sleek, functional, and stylish! When you buy a MS CLOVER original, you are buying a lasting keepsake & truly remarkable piece of art. O U R ∙ C A T A L O G Our specialties include hand-stamped pendant necklace, outdoors jewelry, party necklaces, and bracelets...that come in a variety of finishes, such as Stainless Steel, Silver, and Alloy. You'll find something that is perfect for any occasion, whether it be for bridesmaid gifts, Family gifts, best friend gifts, graduation gifts, Mother's Day gifts, Father's Day gifts, Christmas gifts, or for simply treating yourself. 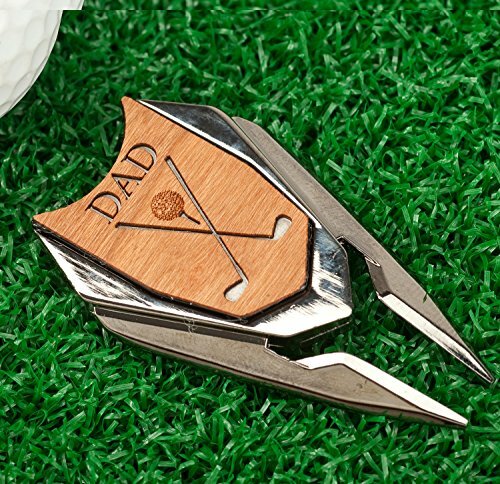 This black metal golf ball marker & divot tool remover is the perfect gift for Dads! 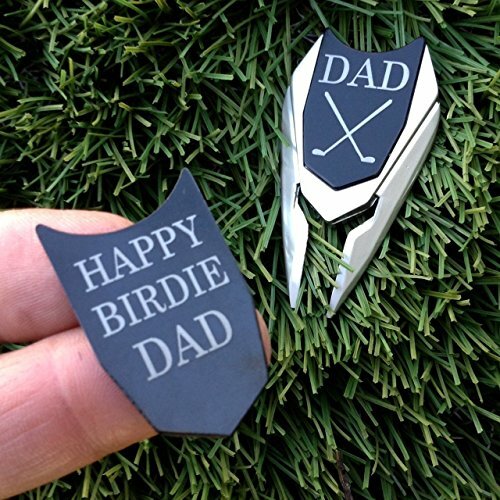 The ball marker is engraved with "DAD" on the front side and "HAPPY BIRDIE DAD" on the back side of the marker. 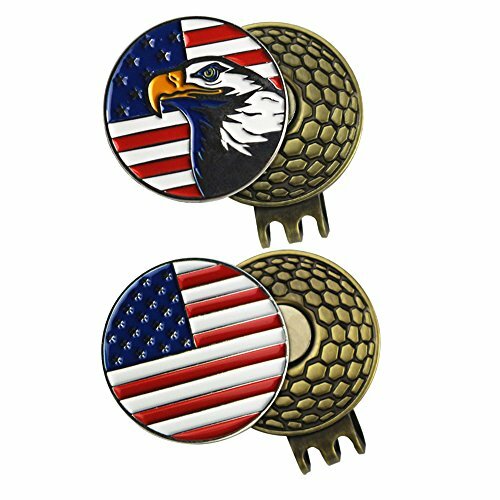 Our customized ball markers are hand made in California, creating a unique design that you simply can't find among the golf items at sporting goods stores or pro shops. Our customized ball markers are crafted from a high quality material. This handy 3 in 1 tool cuts down on the amount of items a golfer needs to take when hitting the links. The perfect gift for your golfer daddy!! 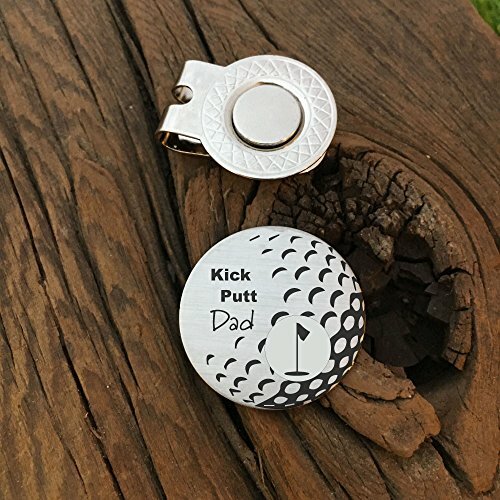 This golf ball marker has "Kick Putt Dad" and Flag on it. It comes with a magnetic hat clip. 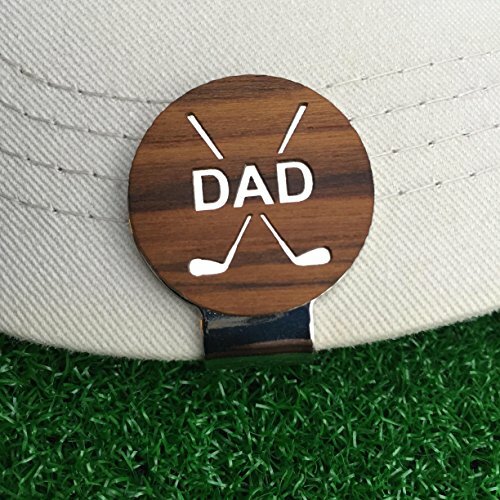 Looking for more Dad Golf Ball Marker similar ideas? Try to explore these searches: Schutt Sized Air, Boutique Miss Mouse, and Tri Glide Buckle. Look at latest related video about Dad Golf Ball Marker. Shopwizion.com is the smartest way for online shopping: compare prices of leading online shops for best deals around the web. Don't miss TOP Dad Golf Ball Marker deals, updated daily.